What makes Batman’s costume stand out from the rest of the gaudy garbs of the superhero world is that everything on the suit is practical. And nothing exemplifies this school of thought more than the memory cloth cape that debuted in Batman Begins. Most people just view his cape as a showpiece that is meant to terrify criminals. And in some respects that’s true. 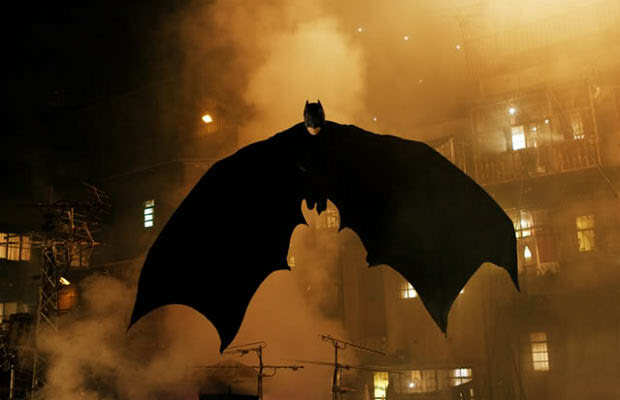 But when electric currents from his gloves are pulsed through this high-tech cloth, it hardens up and quickly becomes a rigid pair of bat wings for gliding through the city. This helps with the illusion that Batman is actually flying—a tactic that feeds his “creature of the night” aura that the criminals of Gotham fear.